Seoul, November 15, 2018 – SK Hynix Inc. (or ‘the Company’, www.skhynix.com) announced that it has developed 16Gb (Gigabits) DDR5 (Double Data Rate 5) DRAM, the industry’s first DDR5 to meet the JEDEC standards. The same 1Ynm process technology used for the recently-developed 1Ynm 8Gb DDR4 DRAM was applied to the new DRAM, giving an industry-leading competitive edge for the Company. DDR5 is a next-generation DRAM standard that offers ultra-high speed and high density with reduced power consumption as compared to DDR4, for use in data-intensive applications such as big data, artificial intelligence, and machine learning. SK Hynix successfully lowered the operating voltage from 1.2V to 1.1V, achieving 30% lower power consumption compared to the previous generation, DDR4 DRAM. The new 16Gb DDR5 DRAM supports a data transfer rate of 5200Mbps, about 60% faster compared to 3200Mbps of the previous generation, with which it can process 41.6GB (Gigabytes) of data—11 full-HD video files (3.7GB each)—per second. The Company provided a major chipset maker with RDIMM (Registered Dual In-line Memory Module) and UDIMM (Unbuffered DIMM) for server and PC platforms, with more memory banks—doubled from 16 to 32 banks—in accordance with the JEDEC DDR5 standards. “Based on technological advancements that allowed the industry’s first DDR5 DRAM to meet the JEDEC standards, SK Hynix plans to begin mass producing the product from 2020, when the DDR5 market is expected to open, to actively respond to the demands of clients,” said vice president Joohwan Cho, the Head of Volume Product Design Group. 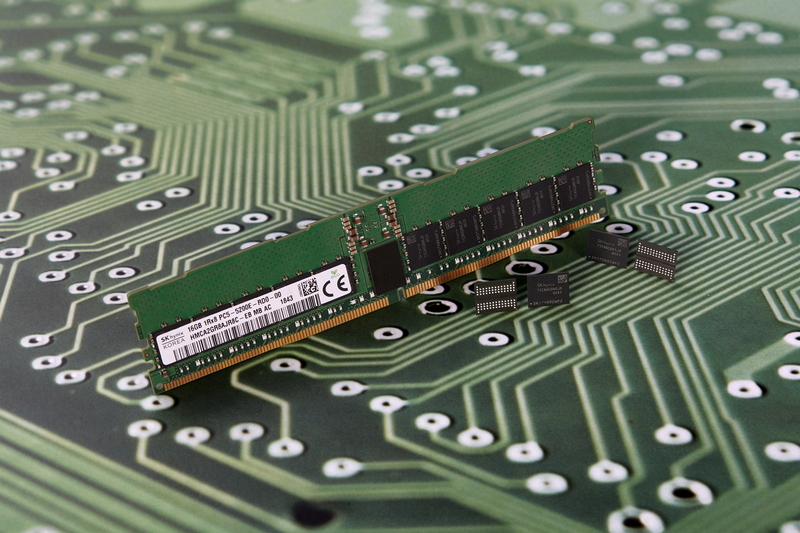 According to IDC, a market research institute, demand for DDR5 is expected to rise from 2020, accounting for 25% of the total DRAM market in 2021 and 44% in 2022.